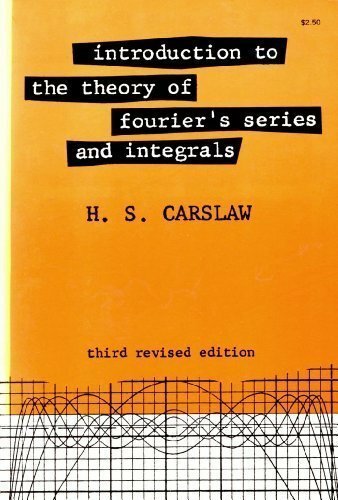 As an introductory explanation of the theory of Fourier's series, this clear, detailed text is outstanding. It covers tests for uniform convergence of series, a thorough treatment of term-by-term integration and the second theorem of mean value, enlarged sets of examples on infinite series and integrals, and a section dealing with the Riemann Lebeague theorem and its consequences. The nonlinear Fourier transform is the map from the potential of a one dimensional discrete Dirac operator to the transmission and reflection coefficients thereof. Emphasis is on this being a nonlinear variant of the classical Fourier series.